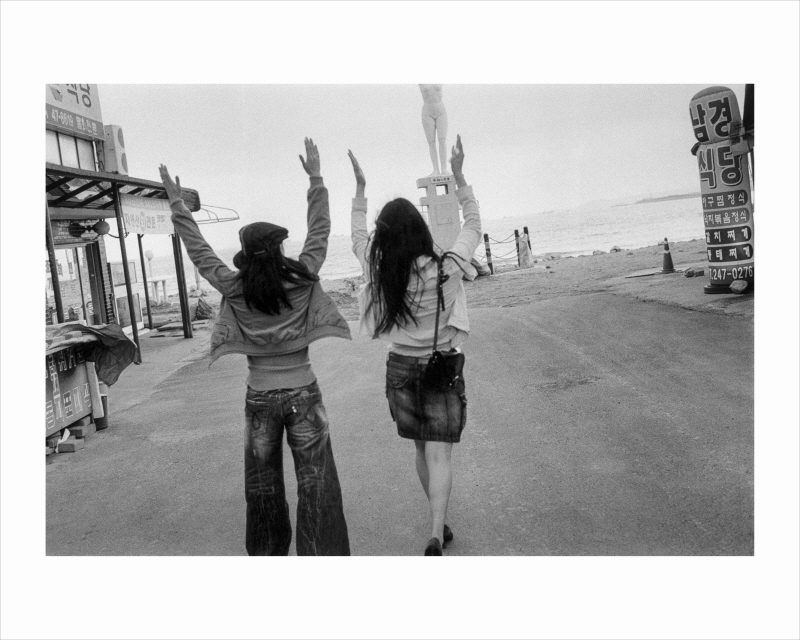 An, Seong-yong’s, the 51-year-old photographer who has been taking photos of Songdo, Pohang since 1990, is publishing the photo collection <Pohang Songdo Beach>. Every photo features people and over half of the photos have POSCO factories and chimneys in their background. 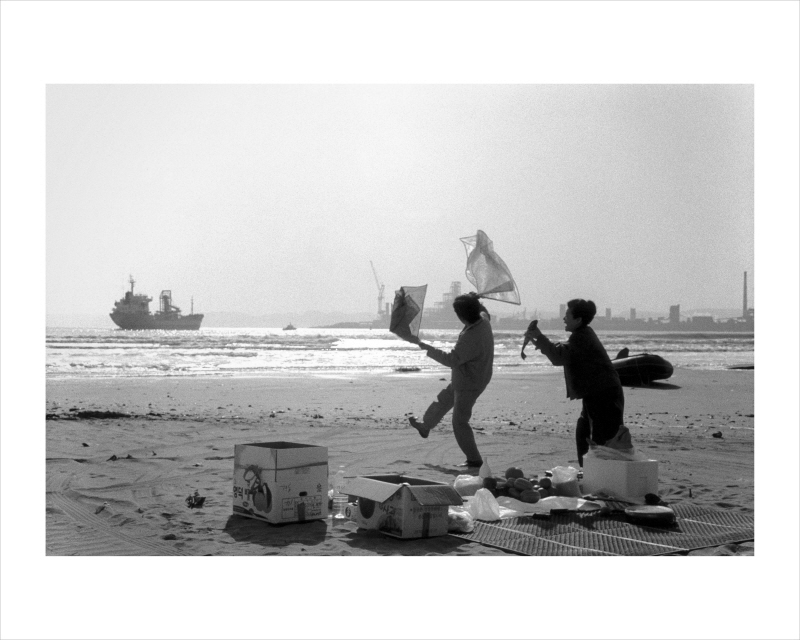 The collection tells a (rather boisterous) story of how the quiet life of Songdo has changed since POSCO‘s arrival. 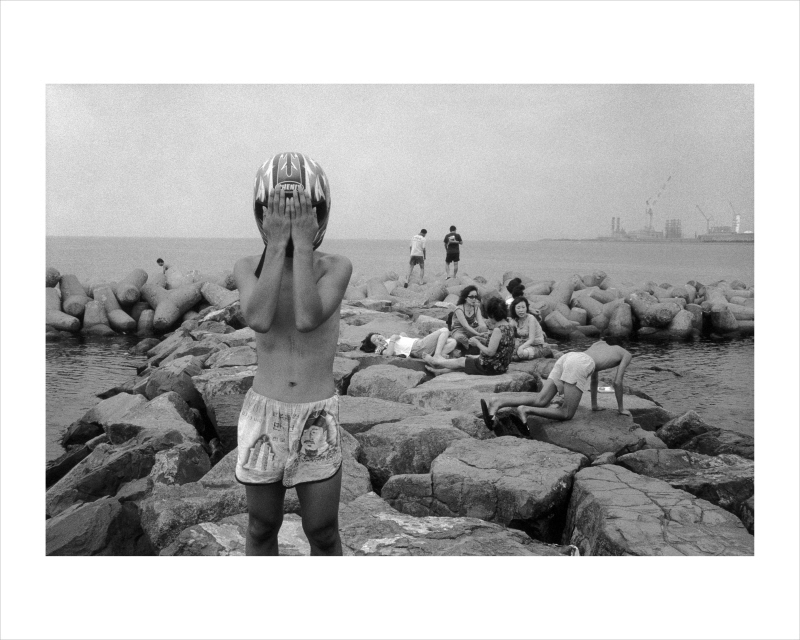 An, Seong-yong’s <Pohang Songdo Beach> is characterized by its unique composition, where each photograph has its own episodic narrative. Analyzing such composition would, then, require the understanding of the concept allegory. What to think of while looking at An‘s photos is up to each and every person, but it is imperative that one uses what can actually be found in the photos as the basis of her interpretation. Freedom of interpretation does not permit the audience to imagine what there is not. We cannot fully comprehend the transformation that POSCO has brought to the lives of the locals. Works in <Pohang Songdo Beach> each contain a story but, unlike paintings, a photograph cannot be complete by itself. Many photographers are led astray by the misdirected belief that a single photo indeed can be enough, and the greed to create such work. <Pohang Songdo Beach> on the other hand requires the audience to look at the whole collection in order to understand and interpret the narrative. In order to identify the big picture, several photos must be read simultaneously with their causal relationship in mind. Previous and current photos must be considered as a set that supplements each other. When people say that they pressed that shutter button because of a sudden inspiration, what is the nature of that inspiration? It‘s a rare occurrence to take photos after being given a divine revelation, without any context whatsoever. Inspiration is in fact oftentimes derived from direct influences like personal experiences or indirect influences like books, music, and movies. You press the shutter button when you are presented with a reality that closely (or sometimes, strangely enough, do not) coincide with a memory of yours, once dormant in the brain: that scene you imagined reading a book, that painting, that scene from the movie. On the 21st, a snowy Saturday, I was at The Museum of Photography, Seoul in Bangi-dong, Songpa-gu, to see Josef Koudelka’s exhibition <Gypsy> once again. The gallery‘s 20th floor lounge has a great view. I saw people ice skating at Olympic Park’s open-air rink and suddenly decided to take a photo. I traced back my memories to figure out why I had, and arrived at an image presented by the director Lars von Trier‘s <Melancholia>. In the film von Trier shows the painting <The Hunters in the Snow> by the Dutch painter Pieter Bruegel the Elder (1525~1569). 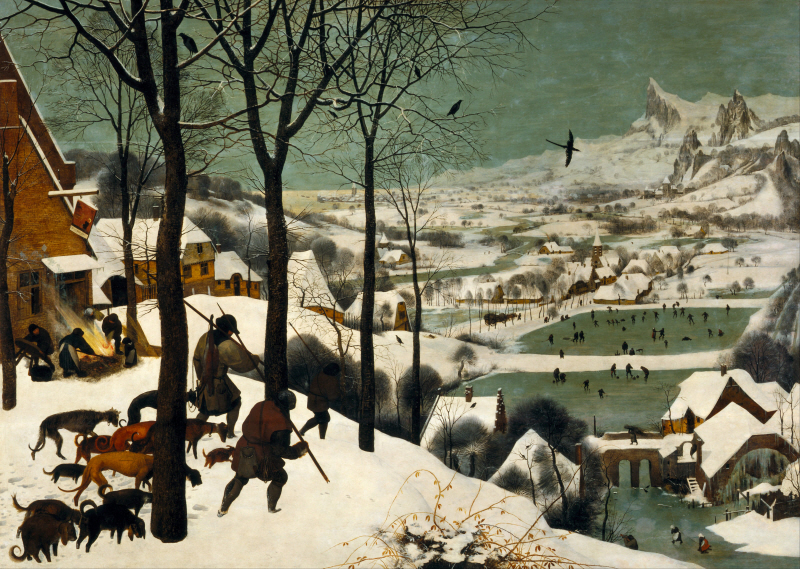 Now compare the center right part of Bruegel’s <The Hunters in the Snow> and the photo that I took of the people on the ice skating rink. <The Hunter in the Snow> is part of a calendrical work. Art historians suggest that Bruegel painted all the available 12 months, while some say that he only painted once every two months. What remains as of now is 5 pieces, <The Hunters…> showing December ~ January. It portrays the fierce cold and the lifestyle of Northern Europe during the little ice age and elaborately depicts winter games like curling, skating, top-spinning and sledding - so much so that it can be used as an iconographic evidence of ice-games that have survived. I met with An, Seong-yong several times back in January and February to talk about <Pohang Songdo>. To ask a photographer “what have you photographed, and why?” is a pointless exercise. I instead asked him about his upbringing and what would have influenced the formation of his art. An told me that he grew up listening to the stories his late grandfather would tell him. Of the many literary works he has read, he repeatedly mentioned the poem “Being the Lover of the Young Maid Who by the Stove Is Pulling off Pieces of Dough” composed by Kim, Sa-in, inspired from a line from Kim, Myung-in‘s older poem with the same line. Everything he came in contact with during his several decades of lifetime has formed a uniquely An, Seong-yong allegory. For over 20 years he has taken photos of Songdo, and the end result is the collection <Pohang Songdo Beach>. Allegory as a literary device is a way of progressing a narrative using metaphorical mediums like people, places or events. 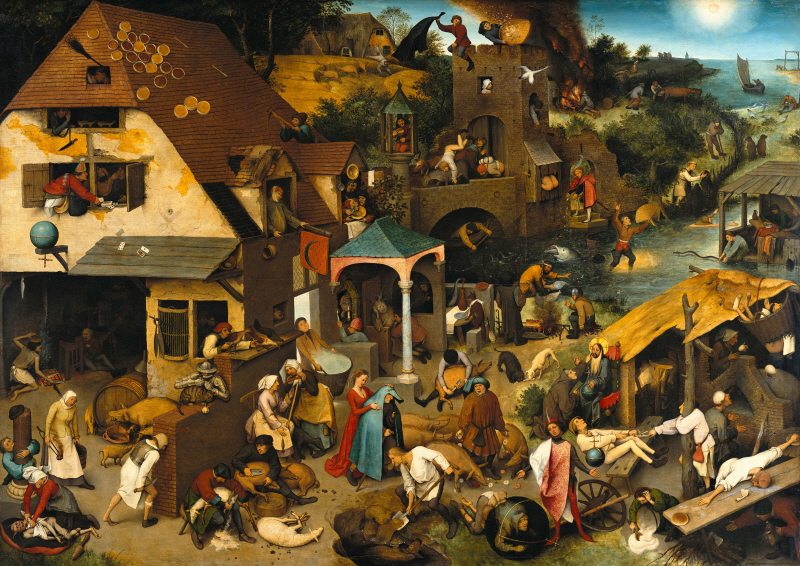 It is widely used not only in literature but in all types of art - Bruegel‘s <Netherlandish Proverbs> made use of proverbs, but Allegory of the Cave by Plato or Aesop’s Fables are typical examples of an allegory. Mythologies like the Greco-Roman kind and folktales can be used as well. Allegory is not to be confused with symbolism. Symbolism is the convention of expression. What is shown and what it means coincide. Taking a photo of the national flag to show patriotism, or a photo of burning the Japanese flag outside the Japanese embassy to show the Koreans‘ anger over issues of Dokdo or wartime comfort women, would be examples of symbolism. Allegory is different. In classical allegory there is a separation of form and meaning. The distance between the two stayed unchanged until Renaissance literature redefined that distance - now the relationships between form and meaning, appearance and content, the signifier and the signified can be loose. This redefinition reminds us of Walter Benjamin’s reconceptualization of the word allegory. Benjamin suggested that not only does allegory constitute a loose relationship between form and meaning, it could actively damage the meaning. In photography, Cindy Sherman‘s ’Untitled Film Stills‘ series or Centerfolds Series are sometimes analyzed using the allegorical technique. Cindy Sherman took pictures of herself dressed and directed to look like the heroines of films, dramas and magazines. As she was parodying a scene from a film, it can be said to be an allegory. Work by photographers who adapt surrealist montage techniques are also interpreted using allegory, as well. When the original image is deconstructed and some elements are taken away and made into a new piece of art, each element comes to function entirely differently from its past self and loses all its original meaning. To describe it as “saying something differently” is, if you consider the original meaning of allegory, would not be wholly incorrect. As such, when we analyze An, Seong-yong’s <Pohang Songdo Beach> in terms of allegory, paintings like that of Bruegel is more useful. He is known as the farmer‘s painter, having in many occasions portrayed countryside lifestyle, but the distinct feature of Bruegel’s work is the copious amount of allegories found there. » (left) The ‘bowel movement in front of the gallows’ part of Bruegel‘s <The Magpie on the Gallows> The gallows, painted as an impossible object. Bruegel’s <Magpie on the Gallows is an unusual piece. Defying the customs of the 16th century, Bruegel had placed the main element in the corner and painted an impossible object similar to a Penrose Triangle. That is to say, the gallows can exist on a two-dimensional, flat painting, but cannot in the three-dimensional space. During Bruegel‘s time the Netherlands was under the tyrannical rule of Spain, letting the audience believe that the painting is a political allegory. The magpie on top of the gallows (as the title suggests) is perhaps serving as an allegory to carelessness, or could be a warning message to the folly of man (in the painting we see a woman dancing with two men, right next to the gallows). Another person is shown defecating by the gallows. This is an artistic portrayal of the Dutch proverb with the meaning “no punishment would be enough to stop one.” Another allegorical painting by Bruegel, <Netherlandish Proverbs>, is filled with scenes showing 112 different proverbs.